Cerruti started as an Italian fashion house that was rooted well within the textiles industry. Family owned, the business was passed down through the generations before being drawn to the grand stage of Paris and expanded to Cerruti 1881 – a brand that includes fragrances, leather goods, watches, jewellery, eyewear, ties, shoes and writing instruments. While they may be renowned for supplying clothes for film stars, Cerruti fragrance actually came at an early stage of the Cerruti timeline, with the company’s first ever perfume – Nino Cerruti for Men, arriving in 1978. It was in 1987 that they launched their first women’s fragrance, Nino Cerruti Pour Femme. Now the brand has a long line of classic fragrances for both men and women. 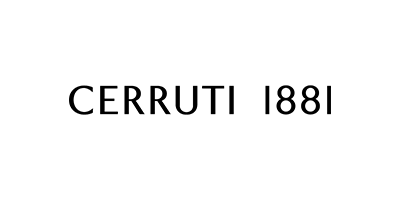 From best-seller Cerruti 1881 Pour Femme to Cerruti 1881 Sport, they make sure to cover a scent that is suited to every personality, occasion and mood. Explore our Cerruti collection now.